Still pondering what to get for a Christmas gift? 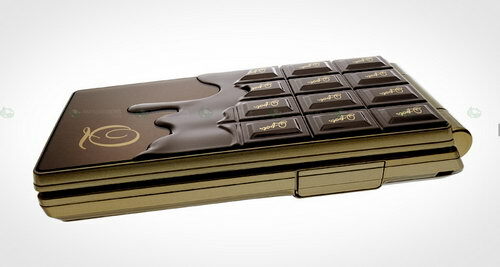 Looking for something sweet but also functional? 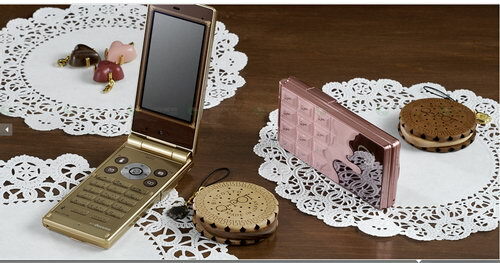 Here may be the address you should visit (of course, if you live in Japan): NTT Docomo as they have Melting Bitter (Brown) and Melty Strawberry (Pink) clamshell phones coated from outside in a way to look like a three dimensional chocolate-bar in their winter-line up. 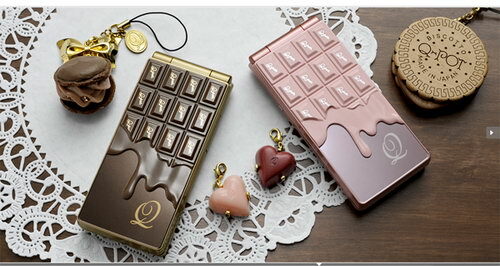 The sweet fruit of the collaboration between Q-Pot, Tokyo-based accessory brand founded by the designer Wakamatsu Tadaaki, and Sharp, they feature pre-installed chocolate themed wallpapers, photo frames and menus as well as having straps with complementary desserts and original chocolate box type package. 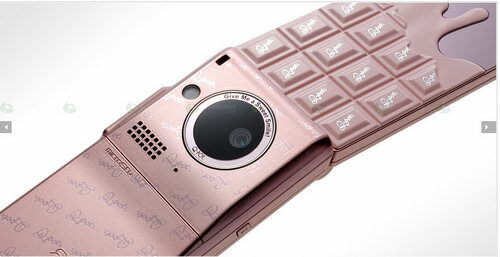 The technical specs are nothing extraordinary, though: 3-inch WVGA ASV screen, 8MP CCD camera, waterproof, 1-seg digital TV tuner, Bluetooth etc. By the way, they are reported by Sharp to be limited to 13,000 production units. Really Sweat and Yummy Design.